It's no secret we love our furbabies. 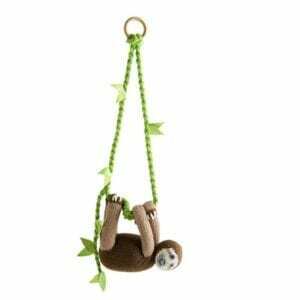 They travel with us everywhere, from hiking to little league games, and everywhere in between. 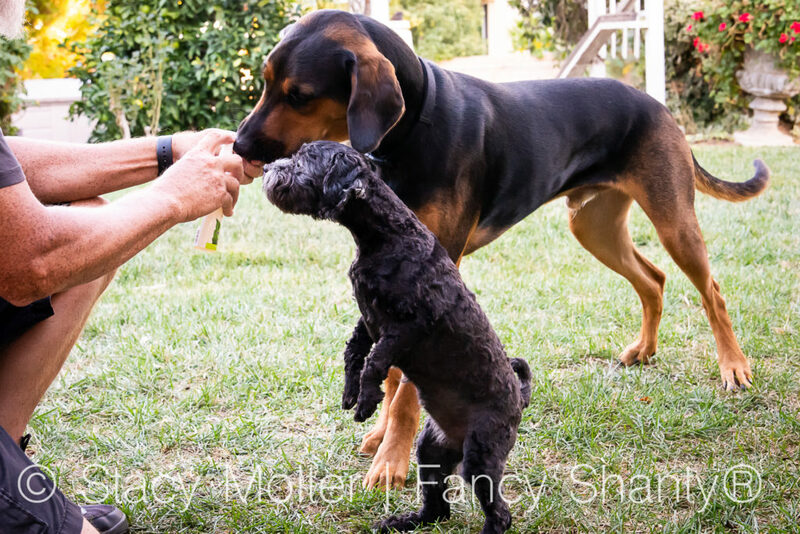 But, as much as we love every aspect of our pups, from their funny personalities to their sweet snuggles at the end of the day, the one thing we can't stand is bad dog breath. Yuck! Thankfully, we have found a natural remedy for bad dog breath making pet dental care easier than ever. Now, we can remove dog tartar and plaque while freshening our dogs' breath with a tasty treat they love. Best of all, there is no brushing required, which means less stress for us. Whether your dog loves the sweet taste of peanut butter or the aromatic scent of peppermint, Espree Natural Oral Care has a product your pet will love. Did you know tartar and plaque may be the cause of your dog's bad breath? That's right. Bad breath is more than simply bad breath, it's typically a sign of a more serious oral health condition and, much like our own teeth, taking care of your pet's teeth will not only help your pet live longer, he will also live a healthier and happier lifestyle. And that's all we really want for our best friends right? 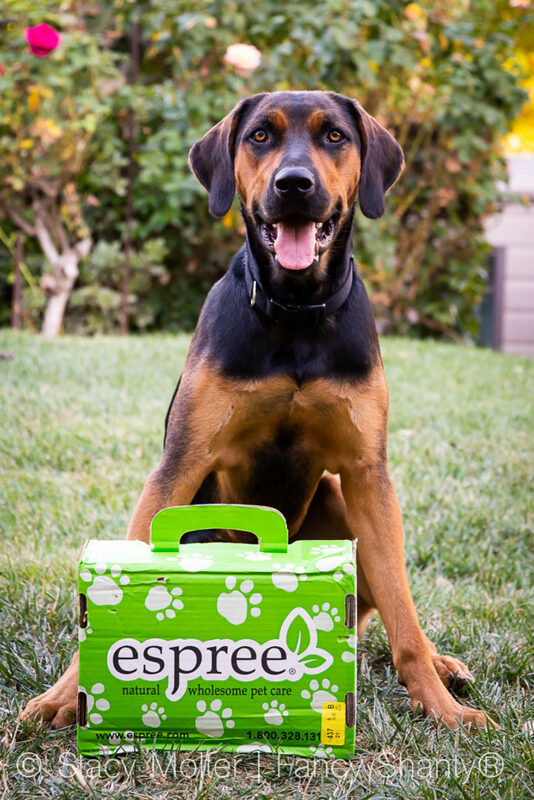 We recently received an Espree Natural Oral Care box to try, featuring their veterinarian formulated Espree Natural Oral Care Gel and Espree Natural Oral Care Spray which is proven to remove plaque and tartar within 14-30 days, and we couldn't be more excited to try this new product. You see, we've tried the dog toothpaste route which requires brushing, and OH MY! That was no easy feat. I think I burned a day's worth of calories just trying to brush our Catahoula Leopard Dog's teeth, and I didn't even get to them all. As you can see, our big boy is excited to try something new and not have my fingers poking around in his mouth once again. 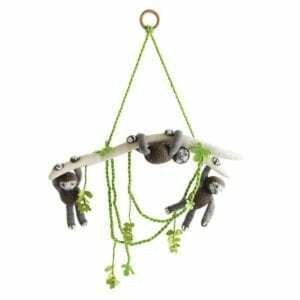 We decided to use the Espree Natural Oral Care Spray, with the natural blend of Peppermint Oil, Grapefruit Seed Extract, Grape Seed Extract, Thyme Oil, and Neem Oil with Koda because he's a licker. As he licks we simply spray Espree in his mouth to help freshen his bad breath and support healthy gums. The spray works great, even if he licks it into his mouth. 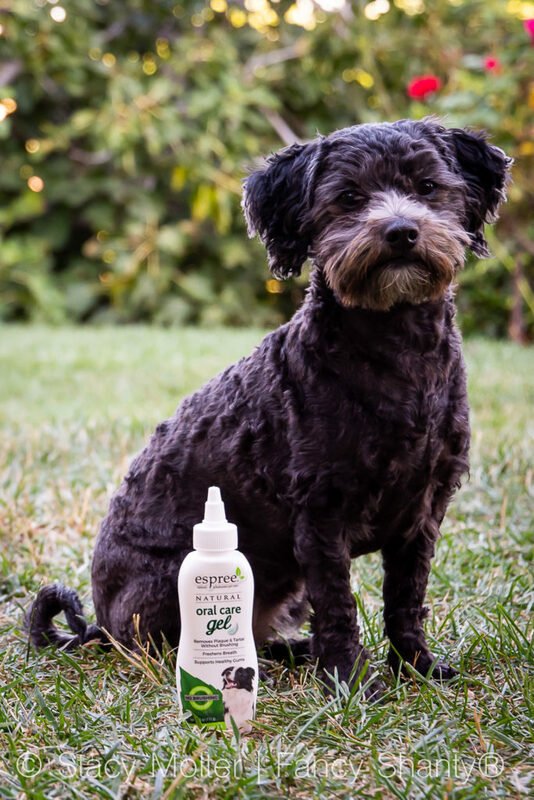 With Sophie, our little Yorkipoo, we decided to use the Espree Natural Oral Care Gel to gently freshen her breath. The only noticeable difference between the two products was how they are applied. The spray is simply sprayed into your pet's mouth based on the dosage size on the back of the bottle, while the gel is placed into your pet's mouth along the gumline. You can even wipe the gel on the outside of your pet's mouth for them to lick it off (it is tasty!). While brushing is not required with Espree products, it can help speed up the results. Espree even has a selection of dental chews made with their signature blend of natural ingredients including real chicken, that contains ridges to remove plaque and tartar buildup to support healthy gums. 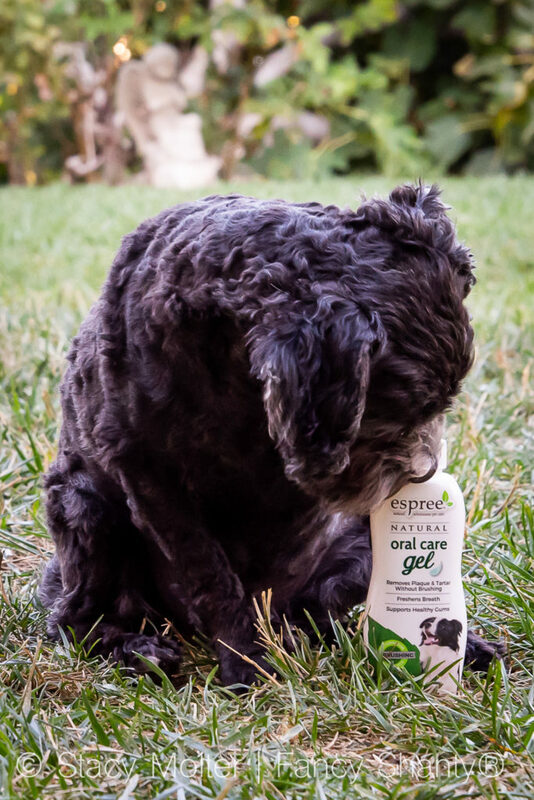 Join us and take control of your dog's oral care health with the help of Espree Natural Oral Care sprays and gels.